Skincare has always been a passion of mine. I work with Skincare brands at the salon and I love discovering products that help out with my skin. Most of my skincare is from Environ which is a salon only brand. Here i'll explain about the products I use and how they benefit my skin. Environ is a brand that I have worked with for two years and have grown to love it! The more I worked with the products and did facials on my clients I learnt more about how it will benefit my own skin. 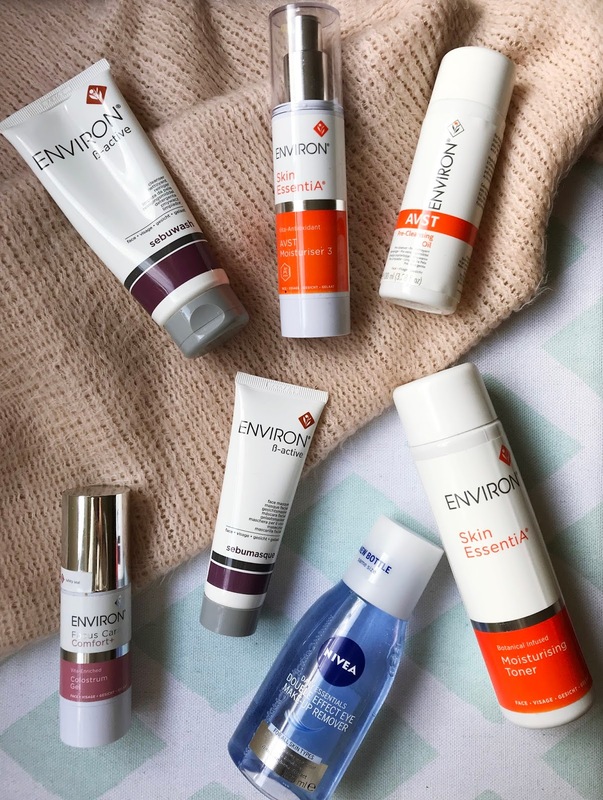 The philosophy behind Environ is that it is created to help make a real lasting difference to the appearance of the skin using Vitamin A which is their key ingredient. The creator of Environ designed it to help correct the visible effects of a deficiency to vitamin A. The main benefits of Vitamin A are that it promotes the skins natural moisturising factor to give the skin a healthy glow, Strengthens the skins outer layers, Stimulates the production of natural protein to keep the skin looking healthy and it helps with the appearance of breakouts! What more could you want. When taking off my makeup I firstly use Nivea's Daily Essential Eye Makeup Remover, I have been using this remover for years because it works so quickly and effectively to remove eye makeup even waterproof mascara and eyeliner. This eye makeup remover removes makeup so easily meaning that you do not need to tug at your eyes! After remover my eye makeup I start with the first of two cleansers, the first cleanser I use is Environs Pre-cleansing Oil, this oil is the best at removing makeup quickly and easily. It soaks into the skin dissolving makeup and impurities off the skin. This is them washed off with warm water. The second cleanser is Environs Sebuwash. This cleanser is designed to be used with people who have problematic skin (I get hormonal spots, ahh lovely!) This is a gel cleanser that contains tea tree which helps to eliminate spots. This cleanser also doesn't leave you with that tight feeling that some gel cleaners do, which is a plus. Once iv finished cleansing I move on to toning my skin using Environs Moisturising Toner, This toner isn't the same as normal toners because it doesn't put the PH back into the skin, this doesn't need to happen because with Environs cleansers they do not strip the skin of its PH. I use this toner as more of a moisturising treatment lotion and to make sure that I have removed all traces of makeup. Finally we have reached the last products in my routine which is the moisturiser and serum. I mix my moisturiser and serum to cocktail the product together then apply it to the skin. Firstly I start with the moisturiser and that is called AVST 3 (with Environ they a have a step up programme starting from 1-5, in each moisturiser there is an increased amount of vitamin A. I am now on level 3) I then mix in my serum which is called Colostrum Gel, this protects my skin from sensitivity and helps to leave my skin looking soft and smooth. My morning routine is the same as my night routine except I dont use they eye makeup remover. 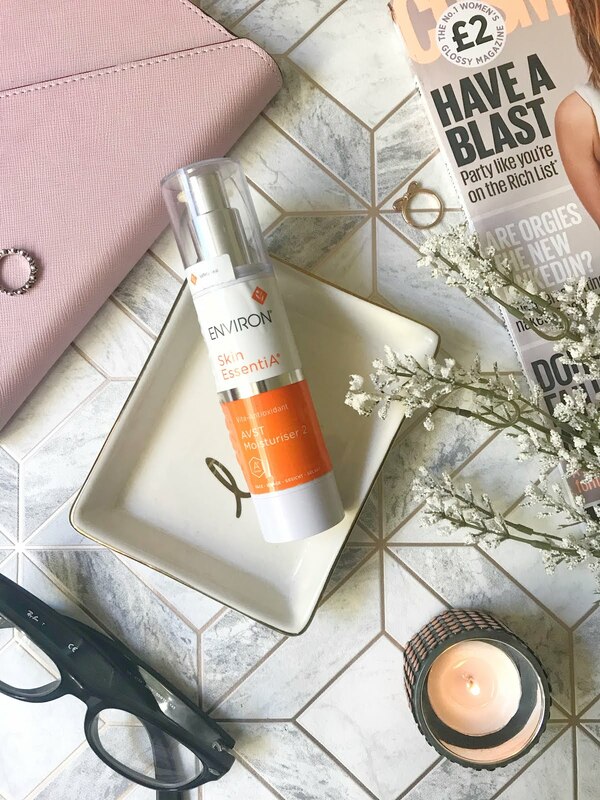 I have spent years trying to find a routine that works with my skin, if you are thinking of finding out more about Environ Click Here. 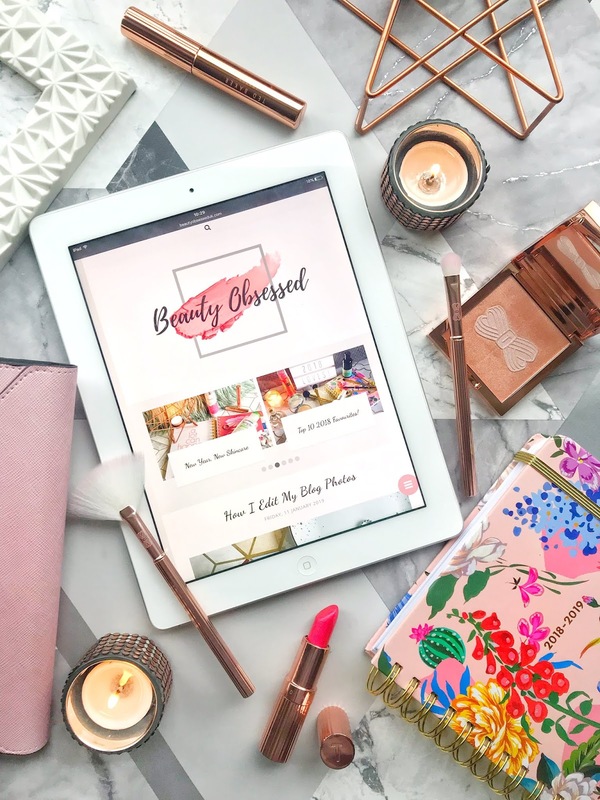 What are your favourite skin care products at the moment?